• programme to help alleviate fuel poverty for some of our most vulnerable older people. Glasgow’s approach to supporting older people is based around the principles of equality and inclusion. We want to ensure older citizens can participate fully in all aspects of life in the city. Access to our museums is free and our library service offers home delivery of books for citizens unable to visit their local library. We actively encourage older people to volunteer and our older citizens played an important part in the delivery of the 2014 Commonwealth Games as Host City Volunteers. We want to support our older citizens to live independently. We have a range of services to support this. Our Home care provider Cordia organises homecare services for over 6,300 Glaswegians daily and weekly and this is supported by the community alarm service and other assistive technologies. 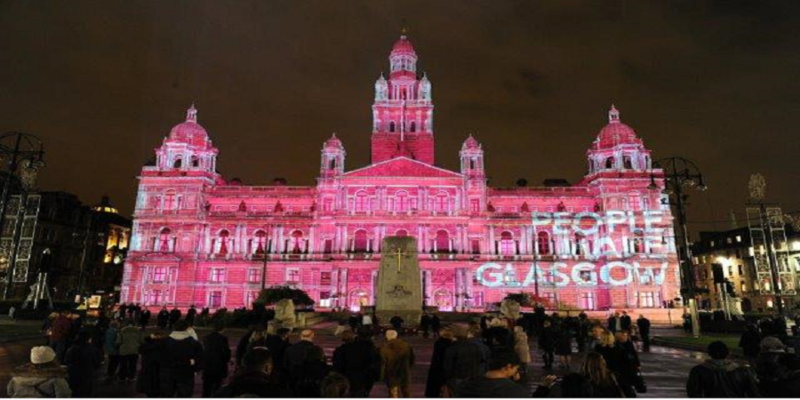 We believe that being part of the WHO Global Network of Age-friendly Cities and Communities will help us to accelerate our approach, building on the good practice we can already demonstrate and allowing us to set our aspirations for older people in Glasgow at the highest level.